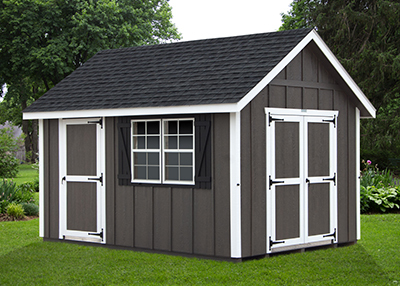 Storage Sheds in a Variety of Styles and Sizes! Choose from a variety of standard sizes with vinyl siding or LP Smart Side. 100's of Options Available... The possibilities are endless! Don't miss all the deals in our Bargain Corner. The first 20 miles is on us! We also offer delivery with our Shed Mule for places with tight access, rough terrain, and other obstacles. Quality Matters. It starts with choosing quality materials and sturdy construction. Cape Dormers, and Polyurethane Colors. Click HERE to learn about all our new products and options! Choose a Peak style or a Dutch Barn style garage! Custom built just for you! Explore all your options… inside and out! Garages, Pole Barns, and more! Click To Find Store Near You! Why buy from Pine Creek Structures? 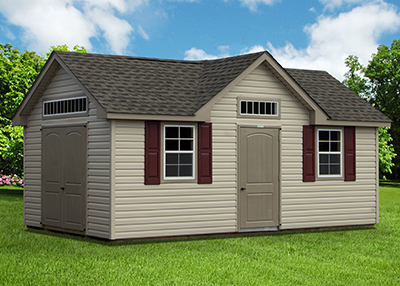 Pine Creek Structures has over 2,500 storage sheds, garages, and other structures in stock now across the East Coast! Choose one from your local sales location or design your own. We make designing and ordering your perfect building an easy process. As a family owned & operated, community-oriented company, we value integrity and experience in our employees. Our craftsmen are dedicated to building a quality product for each and every customer. We build every building like it's for one of our own. Our sheds are built to last. We offer a Rent To Own program with no credit check! You'll own your structure in just 36 months. Affordable monthly payments and a small down payment makes getting storage while on a budget easy. At Pine Creek Structures, the delivery charge for the first 20 miles from the sales lot are on us! Place an order with one of our trained professionals and we'll have your storage shed delivered in approximately 2-4 weeks. With locations in 9 states across the East Coast, it's easy to find a location nearby. Stop in and let one of our trained professionals help you find your perfect storage shed or garage. Or ask for help custom designing your dream building! Pine Creek Structures puts customers first! Looking for your local store's contact info or pricing? Visit out store locator for all our locations' contact information!